As expected, Zynga, owner of Words with Friends, has added to its portfolio of top mobile games by purchasing OMGPOP for more than $200 million. The purchase price includes $30 million to use for employee retention payments. 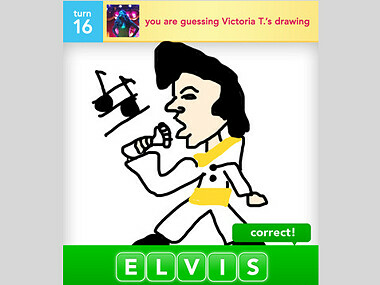 OMGPOP is the owner of the sizzling hot Draw Something, a Pictionary inspired game that allows an iOS or Android user to challenge an opponent from anywhere in the world. 35 million downloads of the game have made it the number one free app, number one paid app and number one game in 80 countries. OMGPOP brings in $250,000 a day from the game (after Apple takes its 30% slice) and is available in a free and paid version. The free version generates 1 billion ad impressions a day. It is hard to imagine something like a mobile video game generating such cash, but as Rovio has proven, a hit mobile game can lead to marketing deals and spin offs besides the in-app purchases that add up to huge profits. The amazing thing is the amount of money generated by these companies considering the small number of employees that they have. For example, OMGPOP is a 40 man team. Just a few months ago, things were not looking too good for OMGPOP and it looked as though the developer was going to be forced to raise money not on their own terms. 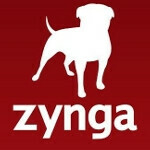 But luckily for them, Draw Something became a major hit and was the reason behind the sale to Zynga. In other words, OMGPOP got while the getting was good proving once again that in America, a good idea can still be worth millions if not billions. Maybe you skimmed over this "OMGPOP brings in $250,000 a day from the game (after Apple takes its 30% slice) and is available in a free and paid version. The free version generates 1 billion ad impressions a day". LOL i was sitting here feeling the same way... all one has to do is come up with a brilliant app idea get it passed thru apple's app store then it becomes overwhelmingly popular... android then picks it up then BAM!!! millionaire status!